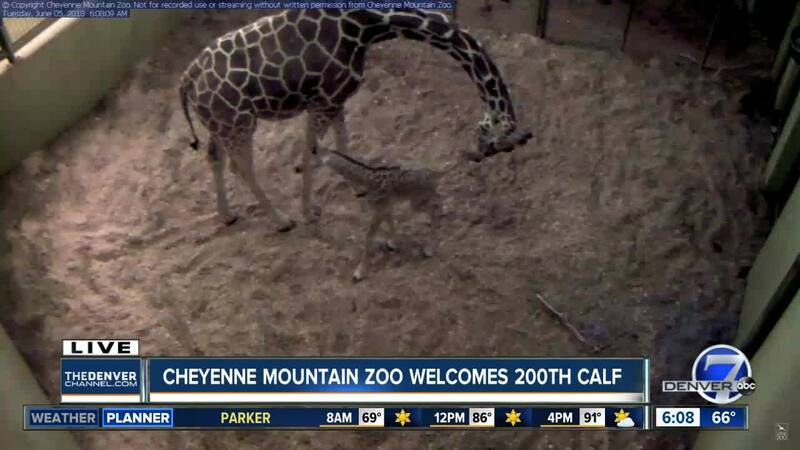 COLORADO SPRINGS, Colo. – The Cheyenne Mountain Zoo in Colorado Springs has welcomed its 200th giraffe calf. 20-year-old reticulated giraffe Muziki gave birth a little before 8:30 p.m. Monday. Zoo staff said the calf, a female, needed some help standing up but it’s now walking and nursing. The calf is about 5 feet 8 inches tall and weigh 120 pounds. She is the fifth calf for Muziki and the fourth for dad Khalid. Muziki was one of two pregnant giraffes at the zoo . The other pregnant giraffe, Laikipia, is also due any day now. Staff say she’s not yet showing signs of labor.